The Sheep Whisperer: The Buzz 0n Bees! The Honeybee is a fascinating illustration of loyalty found in the world of nature! Loyalty is defined by Webster as: faithful adherence to a person, government, cause, duty, etc. Each worker bee is committed to the success of the hive! It will devote its short 38-day life to sustaining it! 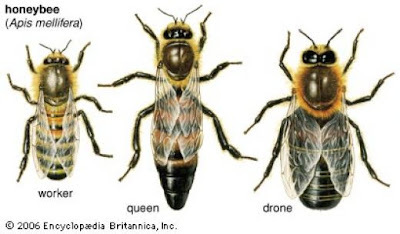 Worker bees are part of a larger network of bees which include, on average, a queen, 100 drones, & 60,000 bees that all work together for the common good! Ewe will have to excuse me, but I must collect these samples for my queen! 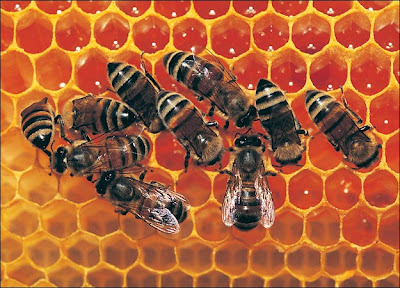 Each worker bee functions in a number of specific roles during its brief lifetime. First, after being born, it waits a few hours for its wings to dry.Then it proceeds in carrying out its first task, to clean up the cell where it was born. 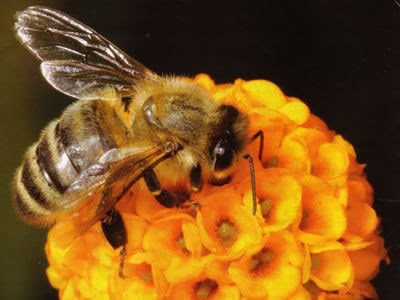 Next, the Honeybee will undergo a chemical change in its body, the enlarging of its pharyngeal or milk glands. 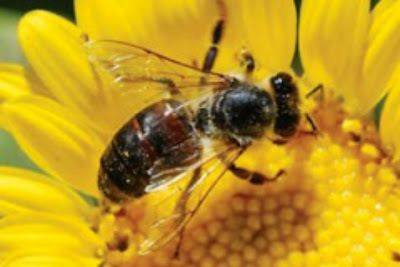 The Honeybee will then begin its second job as a nurse.The worker bee/nurse will feed the larvae in the hive in rows, from the oldest to youngest, until its glands can no longer function. Did Ewe hear the latest buzz? I'm Busy as a Bee! Un-Bee-lievable! serviced by up to 100 male drones! Their main role is mating & locating other potential queens! Anybody up for a game of "Hive & Seek" after work? assisting them in plant reproduction. 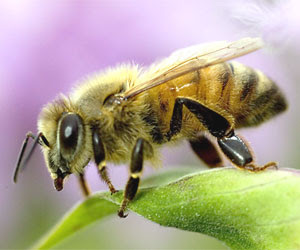 Bees are attracted to colorful flowers, usually blue, purple, or yellow. Upon returning to the hive, bees are greeted by none other than the infamous worker bees. They are working their fifth job, guarding the hive! Equipped with 1200 scent organs on their antennae, they are on a "seek & destroy" mission, sniffing for any intruder bee that doesn't belong! We would like to thank the Academy for the Efficiency Award in Communication! ... The sixth & final task for the worker bees before dying, is that of a scout. The scout, or forager bee, brings nectar samples of various flowers to the hive to taste. It will also relay the distances of the various flowers through a sort of dance! It flies in various motions to reveal the distance flowers are from the hive. A figure 8 motion means over 100 yards. A circular motion means the flower is closer than 100 yards. Messages must be precise, since foragers just have enough honey or fuel with them for their trip.The results are fatal if miscalculated! 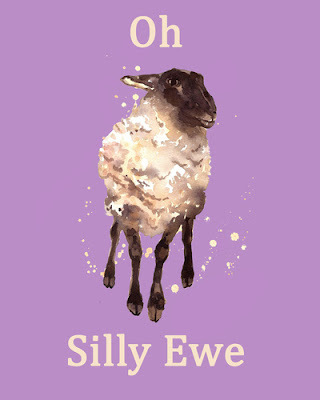 Do Ewe know the song, "Pollinate, Pollinate, Dance to the Music"? Sheep exibit a great deal of loyalty as well. Mother ewes demonstrate loyalty to their lambs. After lambs are born, ewes nurture them & keep them close to the herd. Research also indicates that sheep socialize in smaller groups within the herd that they consider friendly. Finally, sheep bond with & follow their Shepherd. Sheep are always less fretful when He's present! Ewe Know I'm a subject of Loyalty! Just ask my Shepherd! As Ewe graze in the pasture of the Good Shepherd today, take solace in His wisdom in adopting Ewe into His family.The Good Shepherd is the One who is loyally devoted to Ewe. He has given Ewe a specific role to fulfill in His family & He will even help Ewe to complete it!